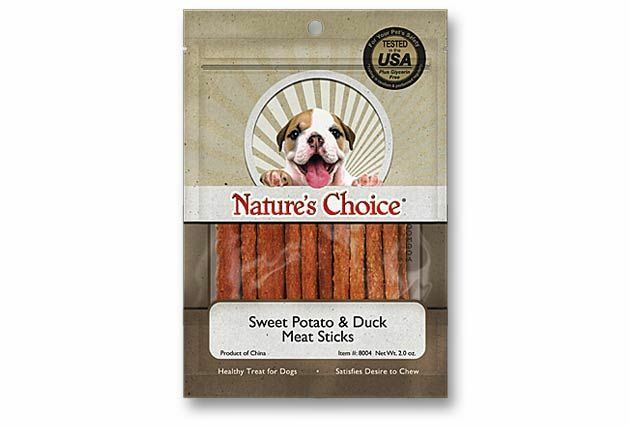 Truly for the health-conscious pet owner, Nature's Choice® Duck and Sweet Potato Meat Sticks are exactly what they appear to be; 100% pure meat without any chemical additives, fillers or by-products. What's more, unlike most meat sticks on the market, we don't add glycerin to artificially increase moisture. Nature's Choice Duck and Sweet Potato Meat Sticks contain glucosamine and chondroitin to help keep your dog’s joints happy and healthy, and they're part of our Tested in the U.S.A. Quality Assurance Program, so you can always feel safe when giving them to your dog.